Avital Mission District Food Tour. It was a 3 hour tour and just like they promised we had a blast eating and drinking our way through the neighbourhood and clocked 10,450 steps on top of it! But I am getting ahead of myself. While we enjoy getting together at our homes and relaxing while we research and enjoy some new libations, the early spring crisp air had everyone anxious to be outdoors. Someone in the group knew about the Avital tours so we signed up and set off to the Mission District for our weekend adventure. 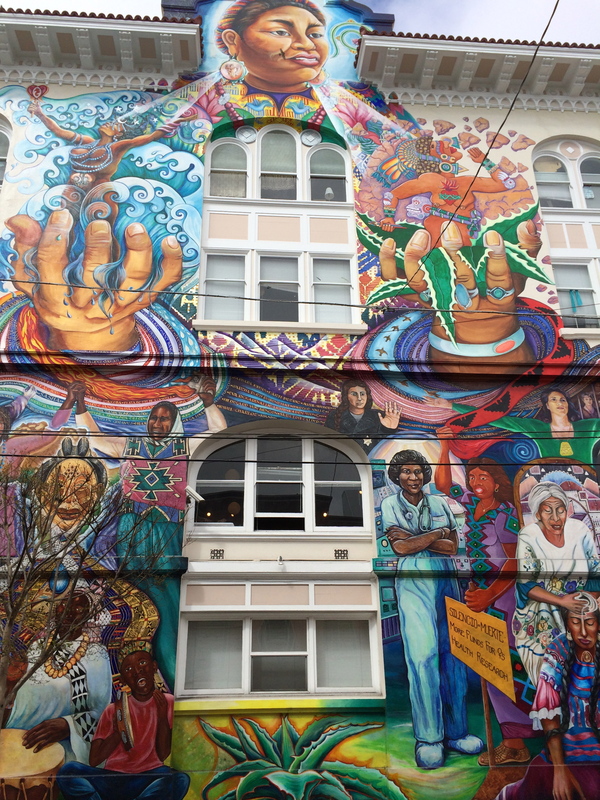 This area of San Francisco is know for its rich Mexican and Central American culture, colorful street murals, culinary options from taquerias to the original location of The Slanted Door (now at the Ferry Building) and Mission Dolores a few blocks from Dolores Park. We met our guide in front of The Women’s Building, it serves a variety of women’s organizations and provides meeting and activity space to the community. The mural, MaestraPeace (1994), honors women’s contributions around the world. 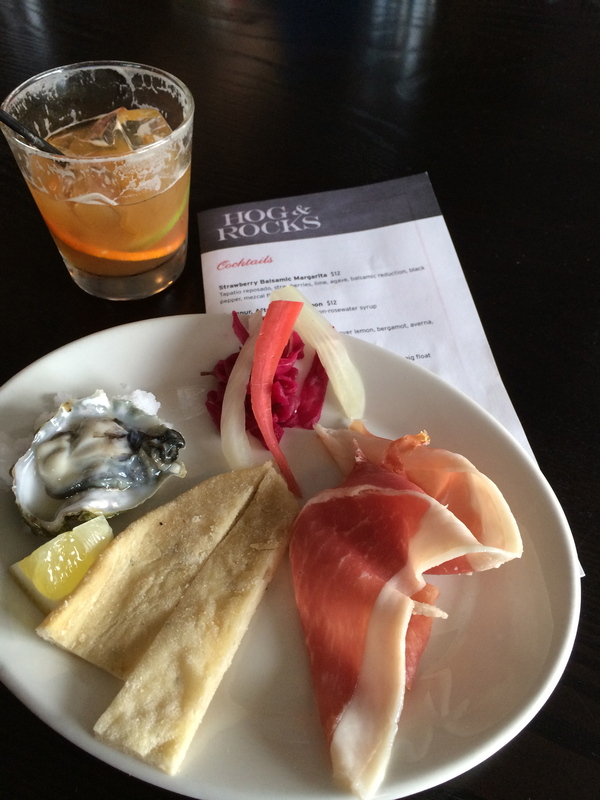 First Stop, Hog & Rocks, San Francisco’s first ham and oyster bar. What a great place to start, the manager was very knowledgeable and told us about the different types of oysters. The bartender served us a Calabria, a combination of bourbon, meyer lemon, bergamot, taverna, honey, bitters and ginger. They know their whiskeys and offer eight or more Old Fashioned options in their menu. Second stop, Mission Cheese, known for their limited production artisan and farmstead cheeses. We tasted Landaff (from Landaff Creamery) and Golden Valley Pecorino (from Golden Valley Creamery) paired with a dark beer. Cheese and beer? Yes, it works! Their menu has more than cheese – the salads, salumi plate and duck rillettes looked fantastic. And they also serve wine. 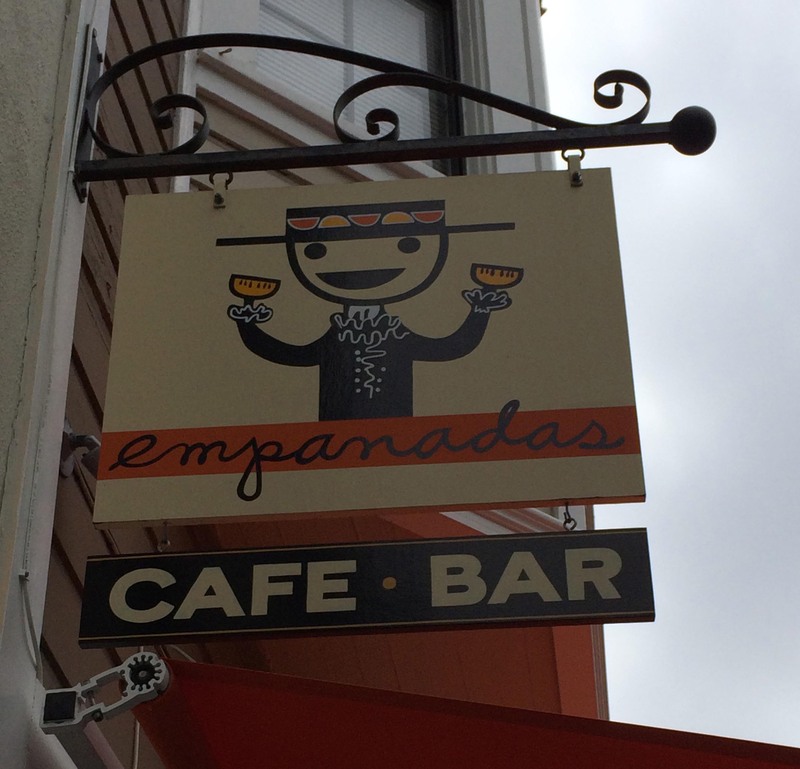 Next, Venga Empanadas, where we toured the kitchen and met one of the owners. They served us two different types of empanadas, the traditional argentine beef and a five pepper manchego cheese empanada. A little glass of wine would have been nice, the tour included drinks! On our way out we bought some alfajorcitos de maicena – oh soooo good! I’ll have to look up the recipe. After a short walk by the Mission towards Mission Dolores Park, we stopped at Bi-Rite Market a grocery store that sells organic goods. We were offered some delicious strawberries and quickly walked around the store. It was small, full of people and expensive. Our last stop was the Bi-Rite Creamery, people were lined up around the block. Our tour guide walked in as if he owned the establishment and emerged a few minutes later with a plater full of salt and caramel ice cream for the group. A generous tasting I must add, and it was delicious. A great way to end the tour! Categories: Events | Tags: Avital Tours, Bi-Rite Creamery, Bi-Rite Market, bourbon, Dolores Park, Hog & Rocks, Mission Cheese, Mission District, San Francisco, Venga Empanadas, whiskey | Permalink.